Faced with the toughest race of his 10-year political career, Rep. Duncan Hunter (R-Alpine) is relentlessly attacking his opponent, Democrat Ammar Campa-Najjar in bigoted, xenophobic and false smears. In that same speech, as well as in a subsequent television ad, Hunter falsely said Campa-Najjar changed his name three months ago to hide an affiliation with the late Palestinian leader Yasser Arafat. Hunter also falsely claimed that Campa-Najjar is a Muslim trying to “infiltrate” Congress. 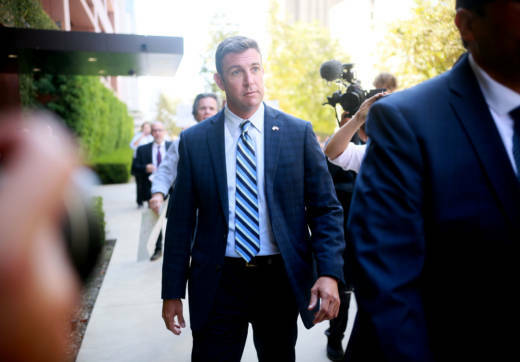 The letter was signed by three former Marine generals who are GOP lobbyists and have long been associated with Duncan Hunter and his family. “If ... Najjar should get elected and see secret information on U.S. military operations that would endanger members of the Najjar family in the Middle East, would he compromise U.S. operations to protect his relatives, the Najjars?” the letter goes on to ask. “When your dad’s gone, you’re left looking for other people to fill that hole,” Campa-Najjar said in an interview with KQED. Campa-Najjar was a self-described “knucklehead” in high school, and got into minor trouble with teachers for being flippant and defiant. He described being adrift as a young man, until reading "Dreams From My Father," which Barack Obama wrote years before he was president. Campa-Najjar would end up working on Obama’s campaign, before going on to serve in the Obama administration and the U.S. Department of Labor. And just as Obama was smeared with false rumors that he was secretly a Muslim extremist with ties to terrorist organizations, so too has Campa-Najjar. 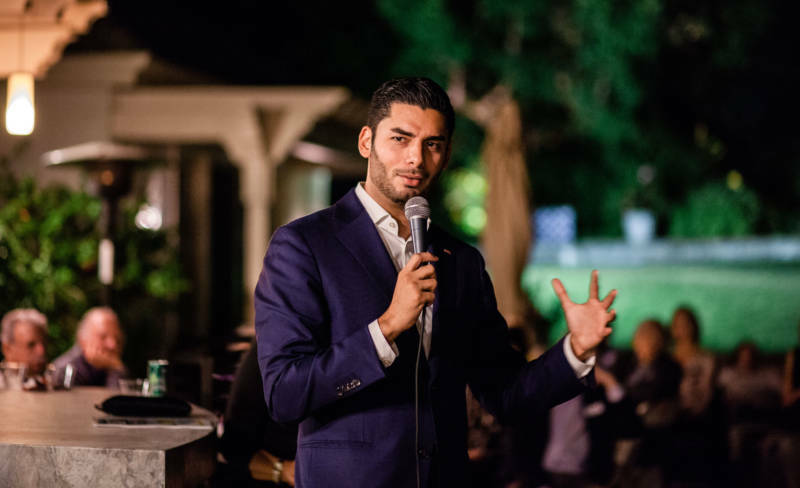 A Christian who held a White House security clearance, the 29-year-old Democrat said he expected Rep. Hunter to paint him as an outsider, even though both candidates are from the 50th Congressional District. Recent polling from the L.A. Times and other organizations shows that Hunter and Campa-Najjar are statistically tied, with about 10 percent of this conservative district still undecided. More noteworthy is that Hunter has actually lost ground since releasing the anti-Muslim ads. Those ads center around the fact the candidate's grandfather was a Palestinian Liberation Organization militant who was killed during the 1972 Munich Massacre. Rep. Hunter points to this relationship as the basis for his anti-Muslim attacks. Campa-Najjar is frank that one side of his family does have ties to terror. The 50th Congressional District is a unique district in that its boundaries contain both some of the wealthiest and poorest neighborhoods in San Diego County. There are dense urban cores in the district, as well as remote urban outposts high in the mountains. A five-minute drive can separate million-dollar tract houses from RV parks with rundown trailer homes. While serious issues face the district, the race has largely become a referendum on Hunter after his federal indictment this past summer for misusing campaign funds. Shortly after federal officers charged Hunter, he took to Fox News where he appeared to blame his wife for any wrongdoing. The indictment also contained unsavory details that Hunter misspent funds for shorts and claimed they were for the Wounded Warriors non-profit. The indictment also contains allegations that Hunter used campaign money to pay for everything from lavish vacations to fast-food trips. Hunter is a former Marine and father of three who served tours in Iraq and Afghanistan. 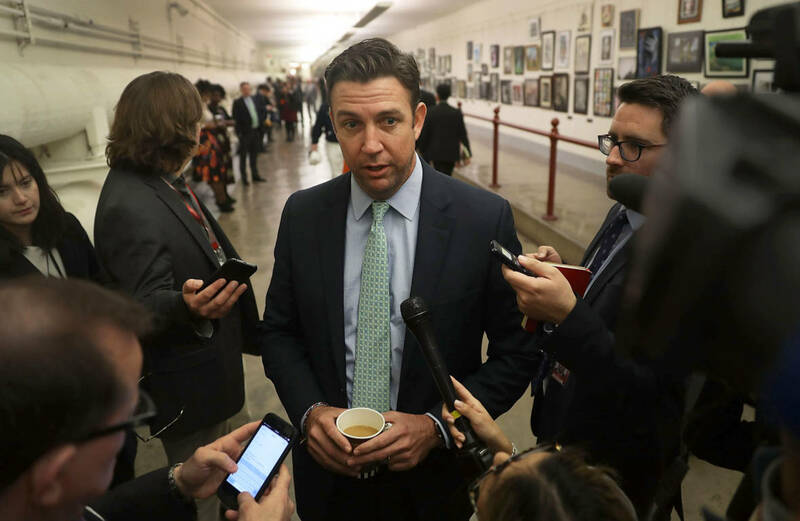 He inherited the seat from his father, also named Duncan Hunter, who resigned in 2008 for a short-lived presidential run. In his last election, the younger Hunter won the seat by 27 percentage points. Yet, after the criminal indictment — and his response on Fox News — Hunter has seen his polling plummet, resulting in a toss-up race. That message might resonate with voters in this staunchly conservative area, and there’s a reasonable chance Hunter will win re-election. Yet, less than a month after Election Day, on Dec. 3, Hunter is scheduled for another hearing in the criminal case against him.